7,655 others viewed this post. 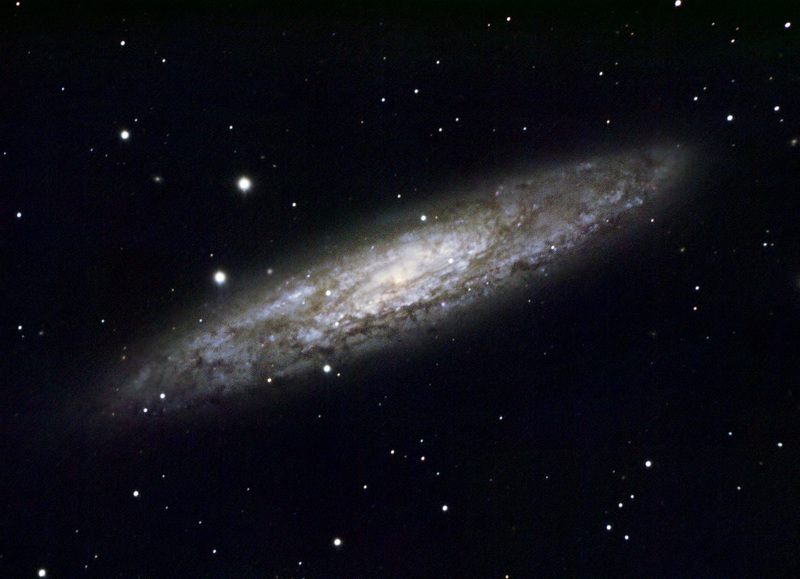 The Sculptor Galaxy! AKA The “Silver Coin”. My best attempt yet at a small distant galaxy using the full magnification of my Celestron 9.25″ Edge HD SCT. Though small, it’s the largest and brightest you can image after LMC, Andromeda and SMC so it comes up pretty nicely framed. This 55 minutes of 300s exposures @ F10 reveal the faint dust lanes and the classic spiral galaxy structure, much like our own Milky Way. It is considered a “Starburst” galaxy which means it is forming stars rapidly. Only one supernova (the death of a star) has been observed here. I don’t do a lot of galaxy stuff, so this was fun to try. Taken 12 hours ago from my backyard! Stacked in Nebulosity, stretched in Pixinsight.